Featuring the iconic Ray-Ban aviator design, the RB6489 glasses are constructed with lightweight, yet durable metal in your choice of gold, silver or light brown. The lenses are shaped by diamond tools to eliminate any distortion and are scratch resistant 12x more than common lenses. Better yet, they offer 100% protection from UVA/B harmful blue lights. Need them with your prescription? No problem! 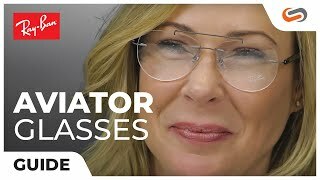 Our expert opticians at SportRX are standing by to help you create your very own Ray-Ban RB6489 prescription glasses so you will never go out of style!